Fresh findings have revealed that Chibuike Amaechi, the immediate past governor of Rivers state and current minister of transport, allegedly acquired and diverted not less than N40 billion of the state funds into the presidential campaign of the All Progressives Congress (APC). According to an online medium, the minister plunged the huge amount into the campaign which saw the emergence of Muhammadu Buhari as president, emerging details are revealing. Sources informed Rivers State’s treasury was emptied into private concerns of the former governor as well as the APC presidential campaign. Rivers state under to demand the immediate prosecution of Amaechi and all his cronies involved in the illegal sale of Rivers state assets, the panel reported that the former governor misappropriated over N97 billion in the sale of the state valued assets. “The commission recommends that the former governor of Rivers State, Rt. Hon. Rotimi Amaechi, along with his former commissioners for Finance and Power, Dr. Chamberlain Peterside and Augustine Nwokocha, respectively, should be held to account for their roles in the sales of the power generation assets of First Independent Power Limited and the disbursement of the proceeds therefrom. housing in Rivers state, who spoke on behalf of the state government, said. 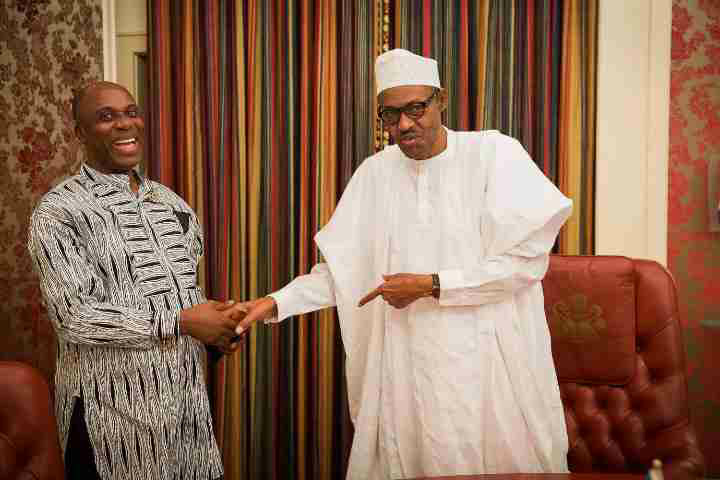 A source who spoke to SIGNAL said: “The N6 billion largesse Amaechi donated to Buhari just for the primaries alone is what was partly spent settling over 8,000 APC delegates. Buhari outspent Atiku, Kwankwaso and the other aspirants. Delegates were settled in hard currency before and on the grounds of the primaries. Meanwhile, the Rivers state government expressed shock when it found that the ex- governor had spent N82 million to host the Nobel laureate Professor Wole Soyinka to a three-hour dinner. This has created series of controversies between the three parties involved as Amaechi insists that the incumbent governor, Nyesom Wike takes the case to court if he feels unsatisfied.